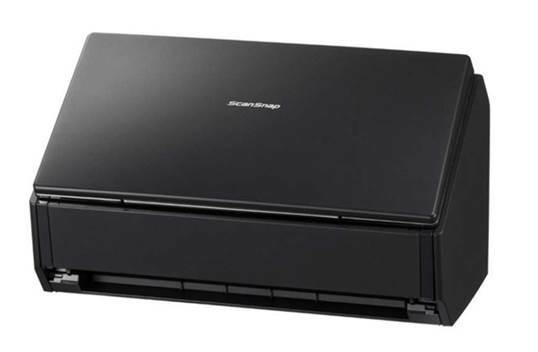 Fujitsu’s ScanSnap iX500 is as multitalented as desktop scanners come. 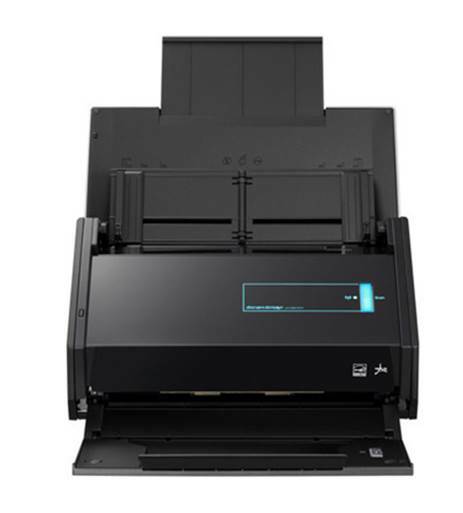 It touts fast scan speeds, USB 3 connectivity, and wireless support for scanning directly to mobile devices. For PC-based scanning, you have to rely on the Fujitsu’s USB connection. We had no problems installing the iX500 on a Windows 7 PC, and the ScanSnap Manager utility provides a menu for fast access to your favorite apps. A wizard enables wireless access, displays all the networks within range, and assists with connecting to the selected AP. It also aids in connecting iOS and Android mobile devices running the ScanSnap Connect app. Profiles created in ScanSnap Manager define destinations and applications, and each can be assigned with specific scan quality settings. File output is limited to PDF or JPEG file formats, however, and there’s no TWAIN or ISIS driver. The iX500 is easy to use. Pressing the blue button begins scanning and, once finished, the Quick Menu provides a range of destinations, including email, folders, printers, Office apps, custom apps or one of the bundled applications. We were also able to send scans directly to our local Dropbox folder and Google Drive account. Other options include Evernote, Salesforce Chatter and Microsoft SharePoint. For most scan tasks, the iX500 hits its claimed 25ppm speeds in our tests: a duplex scan of a 25-page sheaf took 54 seconds at Normal, Better and Best settings. Speeds slowed only when we used the Excellent setting for 600dpi color scans, with our tests confirming the quoted speed of 7ppm. Quality is perfectly acceptable, and it’s quiet, too. Fujitsu’s desktop scanner is nippy, easy to use and packed with useful features. It’s ideal for small or home offices.